Isaiah 's story is the one I've been waiting for since the beginning. I remember when Pushing the Limits was released and the relationship between Isaiah and Beth was hinted at, but then things never came to play - I was disappointed, but I knew Katie McGarry had something even better planned. And she did not disappoint. 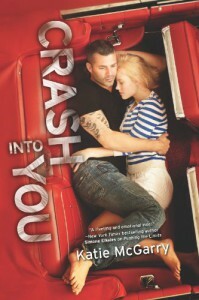 Crash Into You is my favorite in the series, and it’s the book I accredit to getting me out of my reading slump. ISAIAH. ISAIAH. ISAIAH. I didn’t think it was possible to love a character this much, but I do. Maybe it’s because I’ve been waiting since book one for his story to be told, or maybe it’s just the fact Katie McGarry is one of the best at creating characters that you can’t help but love. I don’t really care why, I just know that Isaiah is one of my favorite book guys of the year. 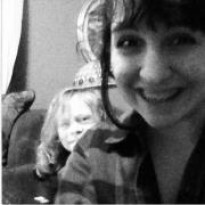 *cough, Number 1, cough* And then there’s Rachel. When her character was first introduced, I had a hard time connecting with her. I found her a bit annoying at first, but as the story progressed (two chapters in) I was hooked. At first glance, Isaiah and Rachels relationship is going to look like insta-love. And maybe that’s what it is, but because of everything they both have been through, I think it’s acceptable this time around. They’re both broken, not beyond repair, but broken. They enter each others lives at the perfect time, and it’s just soooo good. I don’t know how else to describe it. Their relationship is kind of just perfect. I can’t even. When it comes to this series, I can’t even begin to express my love for it. It’s one of my favorite contemporary series, and if you haven’t already started it. I recommend doing it now. Between the three books in the series, I can guarantee that you’ll enjoy one of the books. BECAUSE THEY ARE AMAZING.